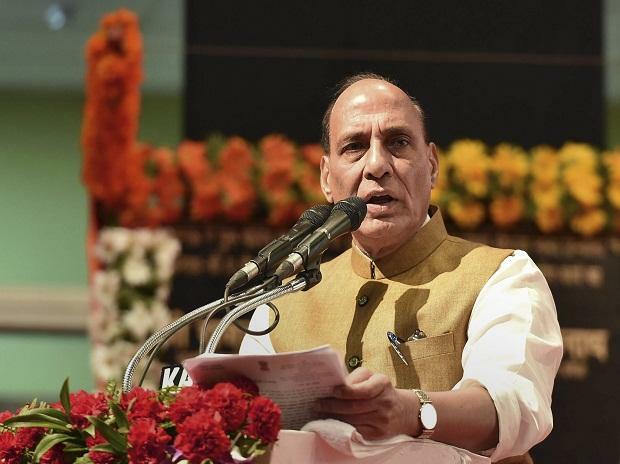 Union Home Minister Rajnath Singh on Tuesday rejected allegations of political vendetta behind recent Income Tax department and Enforcement Directorate raids on opposition leaders and said that the agencies which are autonomous, were acting on their own inputs. In a wide-ranging interview to ANI, he scoffed at Congress President Rahul Gandhi for calling the BJP's manifesto the 'voice of an isolated man' and claimed that India in its history had never seen such a participation in framing of a poll document. Asked about I-T and ED raids, Singh said, "The agencies which are conducting raids, are autonomous bodies. The Model Code of Conduct does not apply to them. They are acting on their inputs. How can we stop them? It is unfair to hold the government responsible for the raids. This is an ongoing process. Agencies act on their own intelligence inputs." During the interview lasting over half-and-hour, Singh, who headed the BJP's manifesto committee, said, "I believe that when it came to the creation of Sankalp Patra (manifesto), India in its history had never seen such participation of people. Whatever he (Rahul Gandhi) is saying is baseless and he keeps saying such things. Do not take it seriously." To a question on Jammu and Kashmir, Singh asserted, "Kashmir is, was and will always be an integral part of India and thus it cannot have its own prime minister." The home minister's comments came almost a week after former Jammu and Kashmir Chief Minister Omar Abdullah, in a speech in Kashmir's Bandipora, pitched for the revival of the posts of Prime Minister and President for the state. When asked about Mehbooba Mufti and Farooq Abdullah's statements that tampering with Article 370 and 35A will not bode well for India, Singh said, "This is their frustration, let them speak what they want. We will go ahead and do what we have to do". Replying to a question on the charge that BJP made false promises during the 2014 Lok Sabha poll, he stated, "Bilkul nahi kaha tha ki Rs 15 lakh aenge. Ye kabhi nahi kaha tha (We never said that Rs 15 lakh will come (to accounts of people). This was never said.) We had said that we will take action against black money. Action is being taken against black money. It was our government which made SIT to crackdown on black money." Advani had stated in 2001 that 'hot pursuit' against terrorists was legitimate and in accordance with international law.